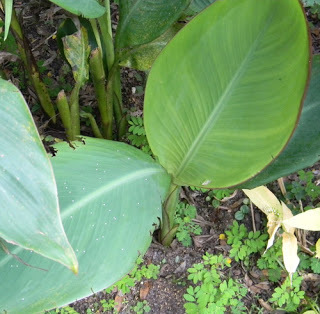 The canna lily is an almost unknown edible, at least here in the US. Instead, like morons, we use them solely as an ornamental. 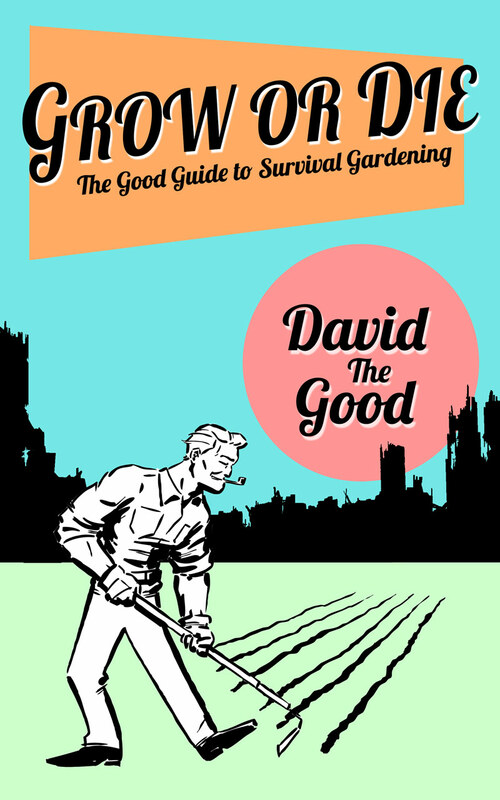 Of course, as survival gardeners, we can use this ignorance to our advantage. Though someone’s likely to steal your tomatoes in a crash… they’re a lot less likely to steal your edible canna lilies. Note: canna lilies are not a real lily. So quit worrying about that and relax. There are two parts of the plant I’ve eaten – the blooms and the roots. The former are crisp and lettuce-like and make a colorful addition to salads. The latter are good too, though they contain a lot of fibers. I add them to stews and crockpot recipes. They’re filled with starch and taste good cooked – just be prepared to spit out the masticated threads. They’re not too bad, but they’re there, so be warned. Cannas are a relative of bananas and really don’t like frost, but that’s okay – they’ll come back if they freeze to the ground. And though some cultivars are better than others when it comes to root size, you don’t have to worry about any of them being toxic – the whole family is safe. Just don’t get them mixed up with “calla” lilies – those are NOT edible. Cannas enjoy plenty of water and can grow in shade. I have a bunch on the north side of my house and they’ve thrived there with little care. They’re also great in a food forest. To propagate, just chop into a clump and divide off what you want, then plant out elsewhere. The rhizotamaceous (yeah, I think I made that word up – sue me) roots will make a big mat over time. Harvest as you like and plant what you don’t eat. If you want to start them from seeds, look for the weird tri-lobed spiky seed pods that appear after the flowers fade. As they dry, the sides will split and reveal black or brown seeds that are about the size of buckshot. These seeds are REALLY hard and can apparently remain viable for centuries. They’re supposed to be hard to start… but they’re not, provided you do it right. Take a pair of nail clippers or a little file and make nips in the sides of the seeds. They’re white inside – if you get to the white, you’re doing fine. Then soak those suckers in water for a day or two. They’ll swell up if you went deep enough with your nicking (which is a bit tough to do, since the seed coats are so darn hard.) The soaked seeds germinate about a week or two after planting. 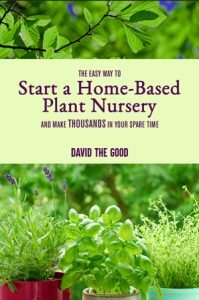 Growth is rapid and the baby plants can be planted out in a month or two. I’ve got them all over the place now, since a gal at the local ag extension dumped a bunch of seeds on me since they’re “too hard for people to start and we don’t think we can sell them on our seed rack.” Hee hee. 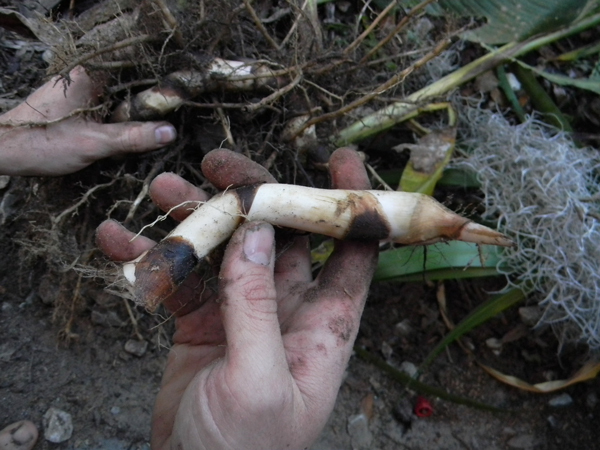 I imagine, if one was creative, they could make vodka from canna roots. The yield isn’t all that high, in my experience, but if you grew them for a few years, you could likely pull it off. If anyone tries it, share some with me. Please? I promise not to involve the Department Of Making Things Miserable For Home Distillers if you do. That about wraps it up for cannas. I have a soft spot for this plant so I’m arbitrarily giving it about a half-spud more than it deserves. So there. Storability: Roots – just leave them in the ground. Flowers? Forget it. Recognizability: As a flower? Good. As food? Poor. Another site suggested it can be invasive in Australian waterways. And that the leaves, like banana leaves, make a good plate or wrapper. Wish it only froze to the ground here – two feet down is more like it! Will have to keep this one in mind for a greenhouse. I could see it taking over, albeit slowly. And yeah – nothing toxic about it. The larger-leaved varieties would probably be great for plates and wrappers. Hey, any info on a good place to get some Canna and what varieties might be best? Canna edulis is probably what you want for roots. I have some and and the Edible Plant Project in Gainesville might as well. There may be even better improved versions but they're hard to find in the States. Now I definitely have to try the flowers! And just in case…I’ll be planting more of them in my 1.25 acre in Clewiston. I like food in disguise! Yes, the blooms are slightly sweet, too. Not bad at all! Any words of wisdom will be very welcome. Oh, I forgot, this was in Nigeria in west Africa in the mid 70’s. The plant had maroon/deep purple leaves with dark red/ orange flowers and green pods. Interesting. Might be something similar, though most members of the broader canna family seem to be safe. 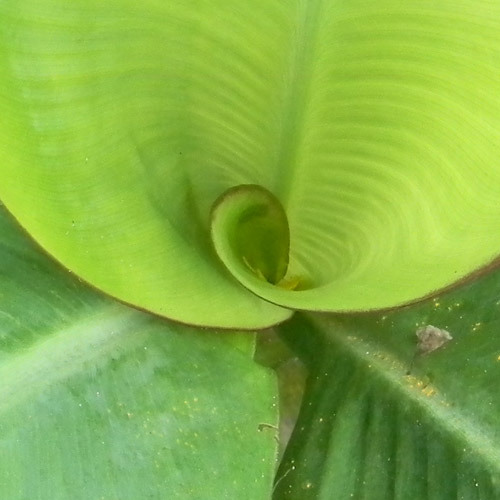 That is probably the “calla” lily you ate, not the canna. The calla will mess you up and they are often confused with each other. Ah, Calla… let me do some additional research and thanks for the pointer. Strange. Those should be totally safe. Yikes! LOL, all I remember is a combination of electric shocks, piercing burning pain and asking for forgiveness for my sins… I literally thought I was going to die… I drank tons of water to dilute the effect… eventually in 10 minutes or so it went away… weird! I have been looking for an explanation since. I have two different kinds of canna lilies and both seem to be infected with some kind of stuff that turns the young and unfurled leaves blackish and it looks like they’re being eaten by some bug. Does anyone have any idea what I can do to clear it up? It’s really ugly and ruining my enjoyment of the foliage this year. I live in NW Florida near the Gulf Coast. 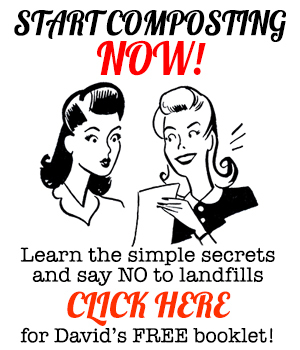 Post pictures in the Garden 911 forum at http://forums.thesurvivalgardener.com if you can. We’ll see if we can nail down the issue. Hi David! Do canna lilies have male and female plants? None of my plants produce seeds. By the way. Thanks for the tip about the edible flowers. They are delicious! No – they’re all self-pollinating, so far as I know. That said, many of the more ornamental versions are sterile, much like bananas, no longer capable of making seeds. The orange one in the photo above would set little pods sometimes but they were invariably empty. If you can find a wilder form, they’ll seed like crazy. I have pot-bellied pigs and in the fall just before any freezing I cut the canna stalks to feed to the pigs, and some times through the summer I thin them this way too, as I have a HUGE patch of cannas. The pigs and goats love them and the old banana leaves. Oh my gosh wow!! Thank you for this knowledge!! My garden goal was to plant only edibles, medicinal, or useful things. My housemate’s goal is to plant “only big pretty flowers.” So…. now I can appreciate the cana lilly’s usefulness beyond beauty. LOL. How awesome. My canna’s leaves are curling in on themselves. What is causing this and what do I need to do? I like to use my canna leaves for tamales and quimbolitoes. Their leaves work better than messing with corn husks. I read the stalks are edible too, but when I tasted them, I figured it must be an acquired taste. It reminded me of chewing on a blade of grass taste. 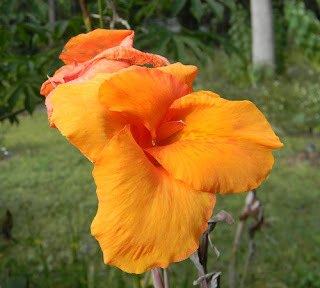 Ecuador uses cannas for food. This is one of my favorite flowers. I like the beautiful colors of each flower, bring me the feeling of happiness of life. Thank you for your article.